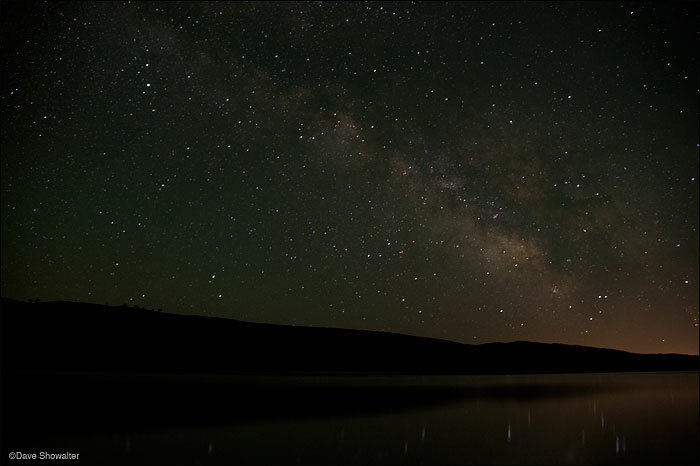 The Milky Way and faint lights of Pinedale over Soda Lake after the Audubon Rockies bioblitz on June 23, 2012. Soda Lake Wildlife Management Area. Photo © copyright by Dave Showalter.